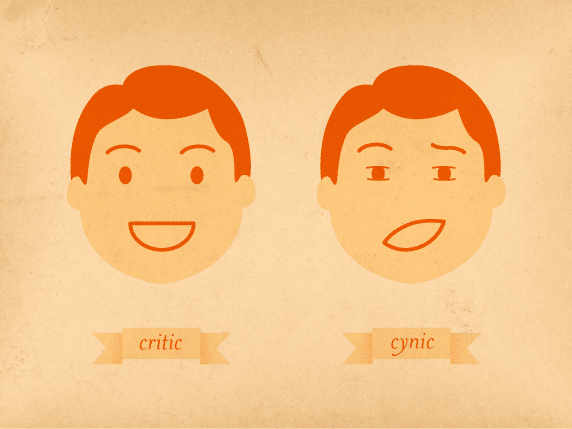 Throughout our lives we face critique — feedback from others about our work and behavior. How do we tell what feedback to take to heart, and what to disregard? Recently The 99 Percent featured an article about Criticism vs. Cynicism, which presents a lens through which to evaluate the responses we get from others. I thought it was well worth a read, especially if you’re involved in a creative craft.